As signaling and scrubbing technology evolve (and as your solutions become more and more adaptable), DDoS attacks will become less effective and less attractive to would-be adversaries. The time will soon come when a 1 Tb attack from an IoT botnet will seem like a mere annoyance, rather than a catastrophic event—if you even notice it at all. So how do you get there faster? 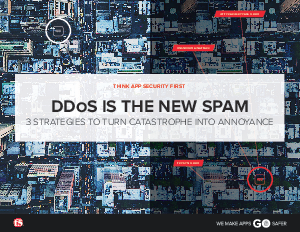 Plan ahead by designing a defense in-depth DDoS strategy and partner with a trusted security provider to handle the large attacks. Upfront preparation will pay off when the threat of DDoS attacks no longer keeps you up at night.